WALLINGFORD, Conn. (AP) - It's 1 o'clock on a Wednesday afternoon in Wallingford, Connecticut, and about 20 children are watching a screen at the front of the room as they take turns navigating challenges and collecting virtual currency to unlock powers, outfits and pets for their characters. 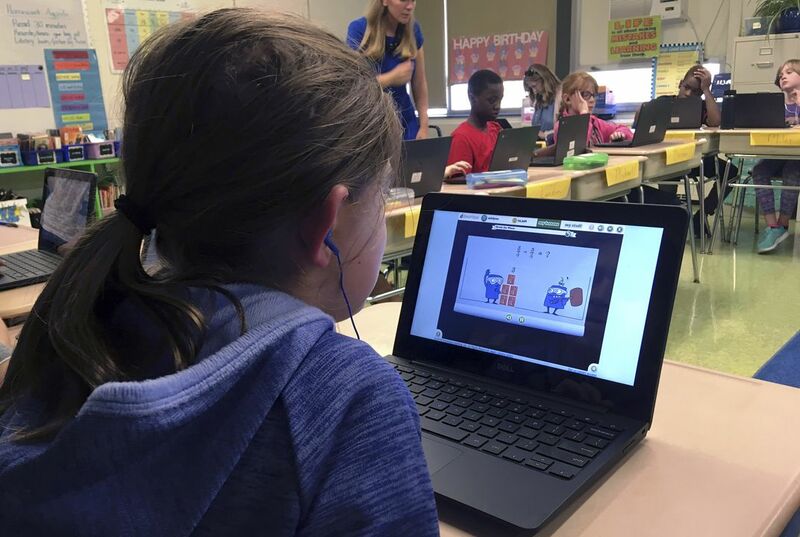 In Groton, Connecticut, early users of DreamBox reported anecdotal evidence of improved outcomes and schools are now using it district-wide. In Heather Dalton's fifth-grade classroom at the Charles Barnum Elementary School, students spent the first half of a recent class working individually on DreamBox with headphones on. Information about their level of mastery of fractions was sent to Dalton's laptop, but the students were most excited about the short video-game rewards they received between levels and the coins they gathered for upgrades to their avatars.